Gayatri Public School, not-for profit English language school, up to 12th grade and has an enrollment of over 100 students from nearby villages. Modern facilities such as WiFi capability and desktop and laptop computers with open source video lessons such as Khan Academy are available. Additionally, there is running water and electricity. There are three school buses to bring students from nearby villages. The students pay for nominal tuition and transportation. The remainder is subsidized by HHCF. Currently, Himalayan Hope Charitable Foundation is developing this Institute in conjunction with universities in the United States to provide job-oriented skills-based certificate/diploma courses in the fields of IT/Web Development, Civil Engineering, and Business Administration. This Institute will ensure positive job placement opportunities and readiness. Initiated by a Drexel University Co-op student, Alexandra Pickens (Founding Member), a sports club for the children in this remote village, is being developed. The Gayatri Public School mascot is the Jaguar and the these GPS Jaguars are seen to the left! HHCF and Alexandra Pickens are currently collaborating with other international organizations to develop of this program. Currently, field hockey is the primary sport, with equipment donated by Drexel University Athletics. The GPS Marathon promotes a healthy lifestyle through physical activity to sharpen the mind. 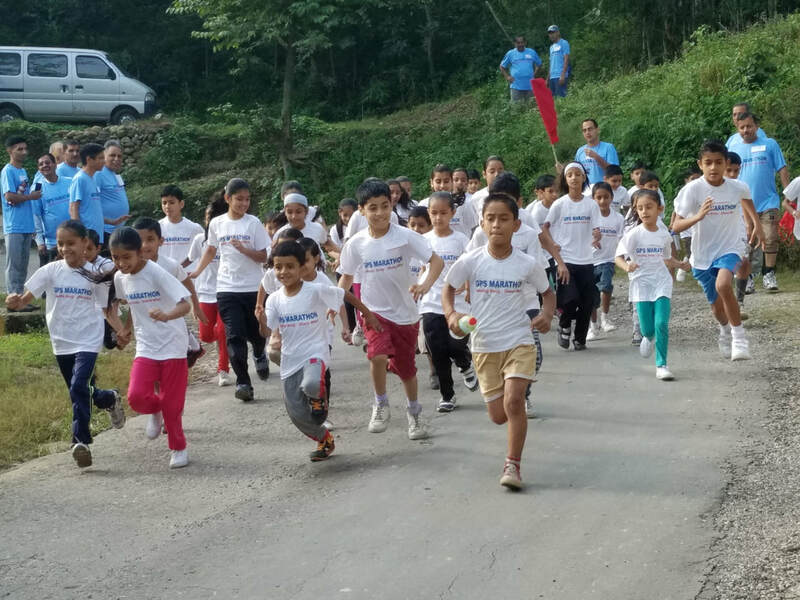 This marathon is held annually on the last Saturday of September starting from the Gayatri Public School. Participants can run in a 5K or 10K. The vision is to have a full length marathon that attracts runners from all over the planet.